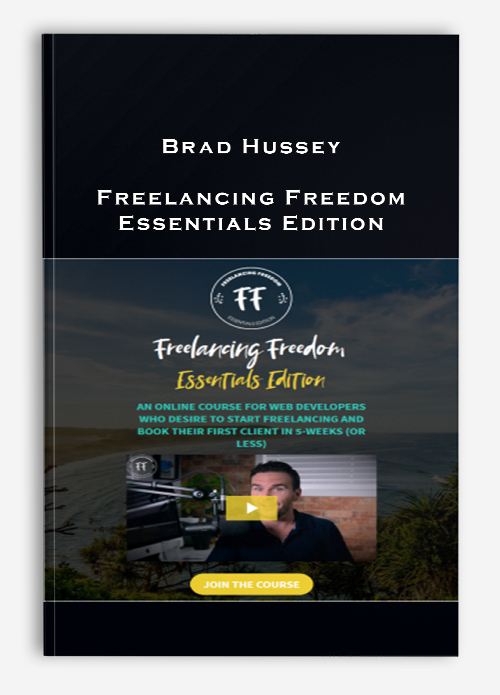 Are you ready to win back your Freedom with Freelancing? The Exact Steps to Make It As a Freelance Web Developer and Launch a Business on the Side in 5-weeks (or less). You already know that a freelancing business can give you the life you want. The freedom you need. Whether that means leaving your 9-5 job, providing a better life for your family, or giving you the opportunity to go on adventures whenever you want. But, you’re probably stuck at the very beginning. Where do you start? What do you do? You might be spinning your wheels in frustration, feeling like you’re getting nowhere. Here’s the thing. While every freelancer does things a little bit different, there are certain steps each one has taken to find success. Certain things that they do that help launch a successful freelance business, one that lets them quit their job, feed their family, and live a better life. A lot of courses you’ll come across will promise to tell you every last thing the teacher knows. I’m not going to do that. Instead, you’re going to get the bare essentials you need to develop a freelancing business in as little time as possible. That way you can start earning money without going into information overload. The step by step guide to building a freelance business, from deciding what skills you need to earning your first client. Video, text, and audio versions of each module so you can learn in whatever way is best for YOU. Absolutely no Everything in the course is actionable content that you can put to immediate use. The course occurs over a five week period, with one module per week. At the end of each lesson, you’ll receive action items for you to perform over next few days. By the time you start your next lesson, you’ll have made visible progress towards launching your freelancing lifestyle. 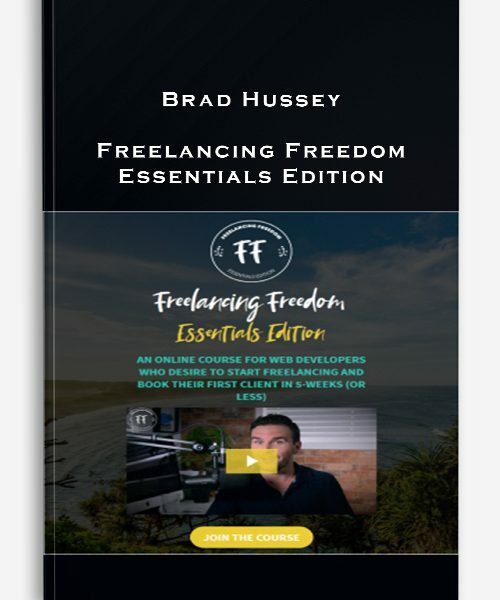 I built Freelancing Freedom: Essentials Edition for those individuals who either have not started their freelancing journey or who are struggling to earn any significant income. Individuals who want to start up a low-risk side business as a freelancer, but have no idea where to start on their journey. Freelancers who just can’t seem to break that $1,000 a month barrier, no matter how much time they put in. People who have been overwhelmed by all of the contradicting information online, and just want the essentials that can get them started so they can book that coveted first paying client. This course is for you if you are ready to start freelancing, but you just don’t know what steps to take, in what order. You would love to earn some extra income on the side to make life a little bit easier for you and your family. Maybe you desire to replace your full-time income so you could make a safe exit from your day job. Perhaps you even want to replace your spouse’s income, so they could leave their job, and help you with your business, pursue their own passions, or even with the kids at home. You want to free yourself from monotony, a drudge-filled 9-5 with long commutes. In fact, it’s not for most people. Because while freelancing is enormously rewarding, it can also be extremely difficult. So, before you go any further, I advise you to ensure if you fit the following criteria. Already earning a full-time income freelancing (Congratulations! Reach out and tell me your story. I’d love to hear from you). Expecting to go from broke to a six-figure income in less than a month (that’s just not realistic — no matter how fancy the car, or how big the library of books in the background of the video). Not ready to commit time or energy learning these essentials (Freelancing takes work, there are easier ways to make money). But, if you’re committed to taking action and are willing to learn, then this course may be exactly what you need. Before you start, you have to change the way you approach the world. This module will flip the way you see the world upside down (or perhaps, right-side up), teach you how to think differently than most people and to prime yourself for success, both in freelancing and in life. While generalist freelancers exist, it’s better to niche down 99% of the time. It means easier work and more money. In this module you’ll learn how to find a realistic, and profitable niche that’s tailor made for your strengths and personality. Confused about what skills you need to start? Think you have to be an expert in every field? Think again. This module will illustrate the exact skills you need for your business and which ones you must avoid. A good offer is the key to success. It’s what separates freelancers with all the work they need from those barely making ends meet. Here you’ll learn what steps to take to craft an irresistible offer that books you high-paying clients time and time again. Launching your freelance business is the moment of truth, and it can be a stressful and bumpy road. But does it really have to be so scary? Within this module, you’ll learn how to make your launch a painless, stress-free — and dare I say, exciting — experience.